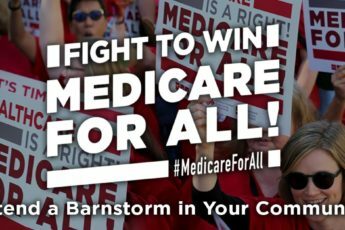 Join us in the continuing fight to stand up for health care and ensure that Vermont provides health care for all. Attacks on the gains made under the Affordable Care Act are ongoing and while we must work hard to resist this assault on health care from Washington, DC, we must also move ahead on creating an equitably and fairly funded universal health care system in New Hampshire that is centered on the principle of health care as a human right. Tell us your health care story and we will deliver them to key lawmakers and the governor to let them know that now is not the time to be timid in these difficult times. We need bold, equitable solutions. And, after you tell us your story, we’ll show you how to join thousands of Granite Staters who have signed a letter calling on Gov. Chris Sununu to do more to push back against the GOP’s despicable plans to throw millions off health care.